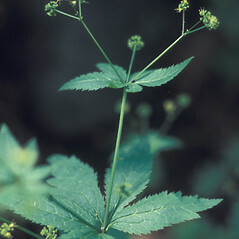 Clustered sanicle inhabits rich, moist forests in both uplands and riparian zones in New England. 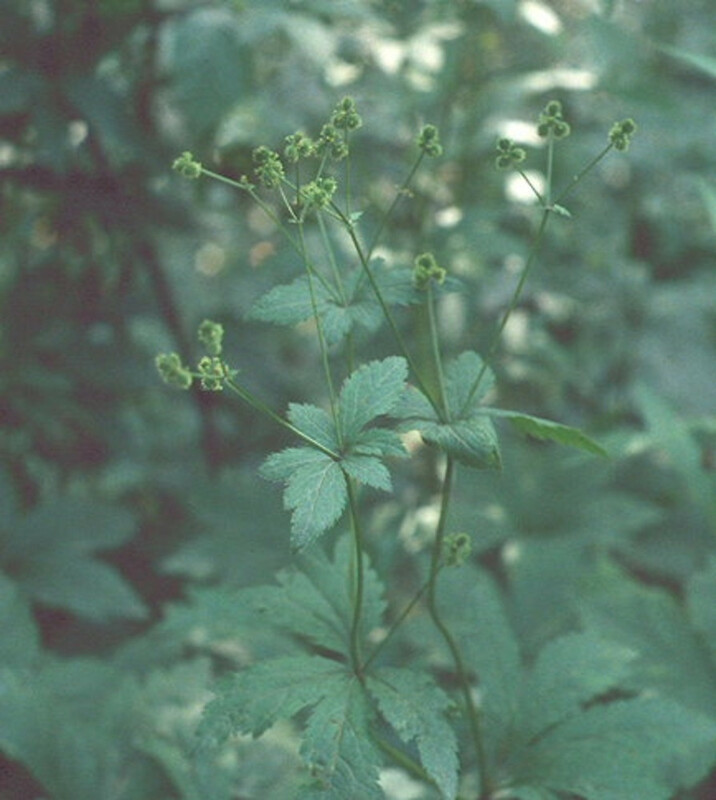 It is rare in some New England states, and vulnerable to development, habitat loss and invasive plants. 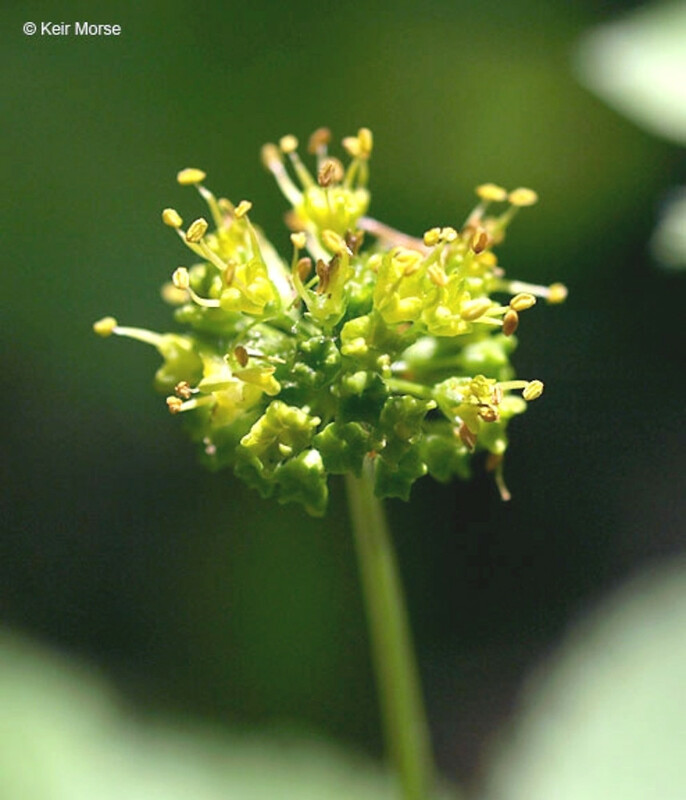 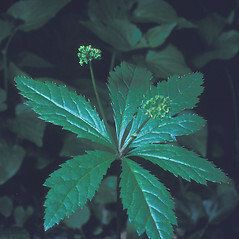 The Malecite Indians used an infusion of this plant with American spikenard (Aralia racemosa ssp. 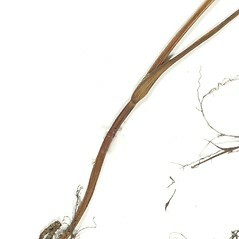 racemosa) to treat kidney conditions, the Meskwaki inhaled the steam of the burning plant on hot stones to stanch nosebleed. 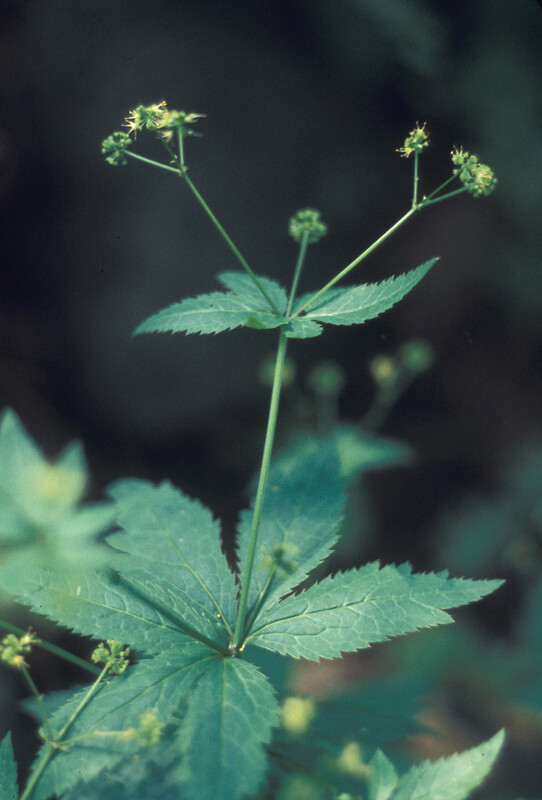 sepals 1–2 mm long, rigid, narrow-subulate, and schizocarps subsessile, slightly exceeded by the persistent, staminate flower remnants (vs. S. odorata, with sepals 0.5–1 mm long, soft, triangular, and schizocarps stipitate, slightly exceeding the persistent, staminate flower remnants). 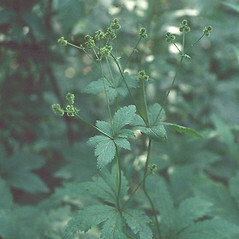 clustered sanicle. 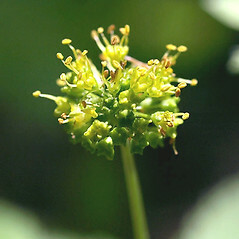 Sanicula gregaria Bickn. 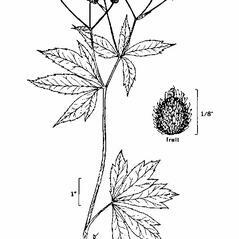 ; Triclinium odoratum Raf. 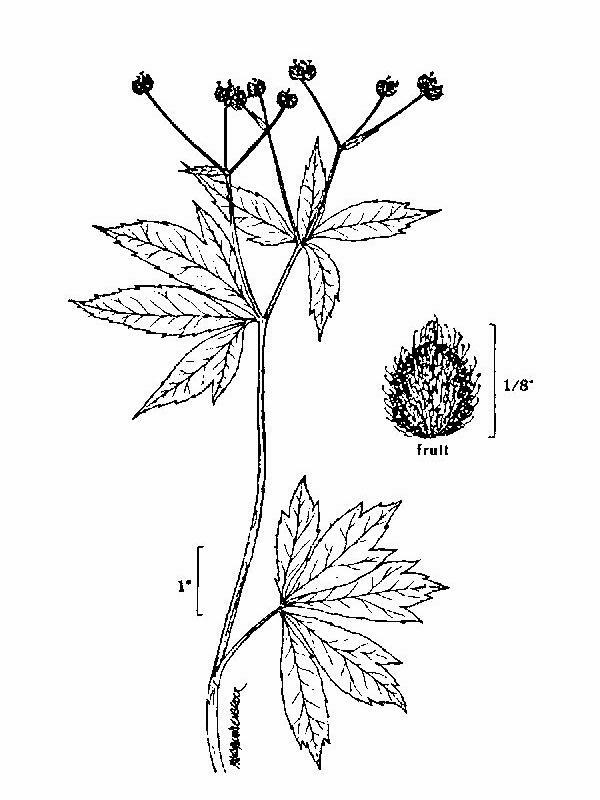 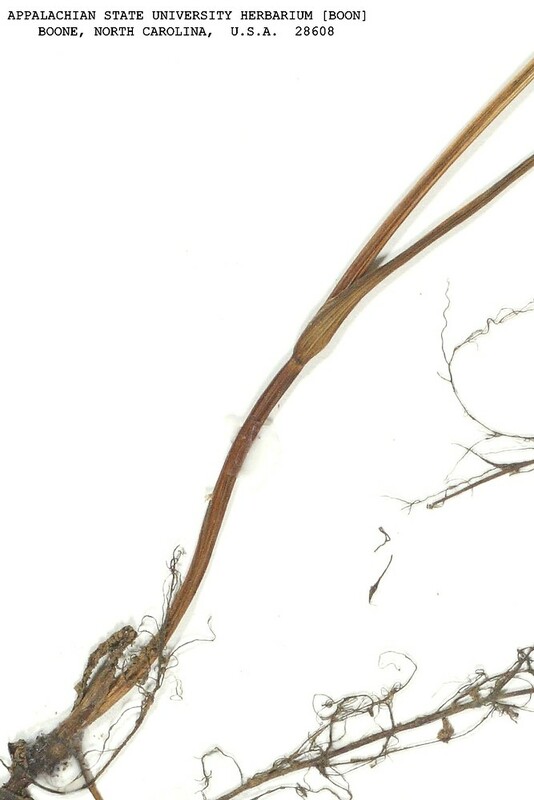 • CT, MA, ME, NH, VT; also reported from RI by George (1992), but specimens are unknown. 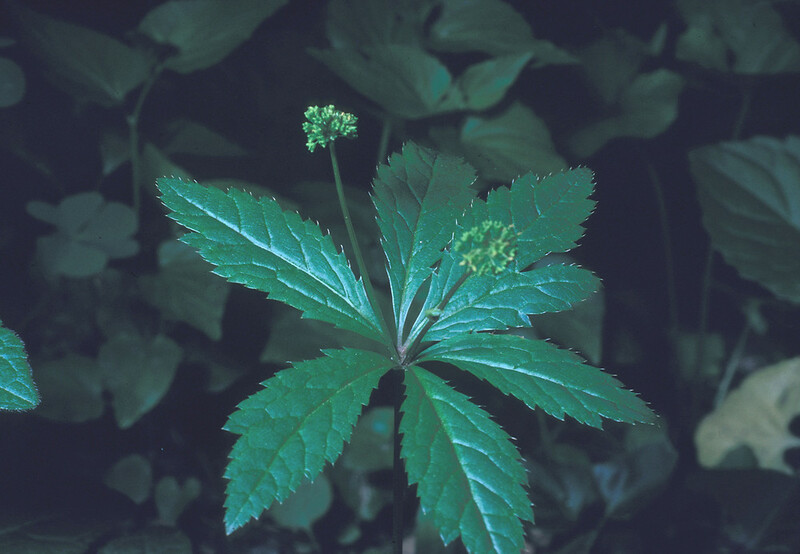 Rich, mesic forests, including upland and riparian types.